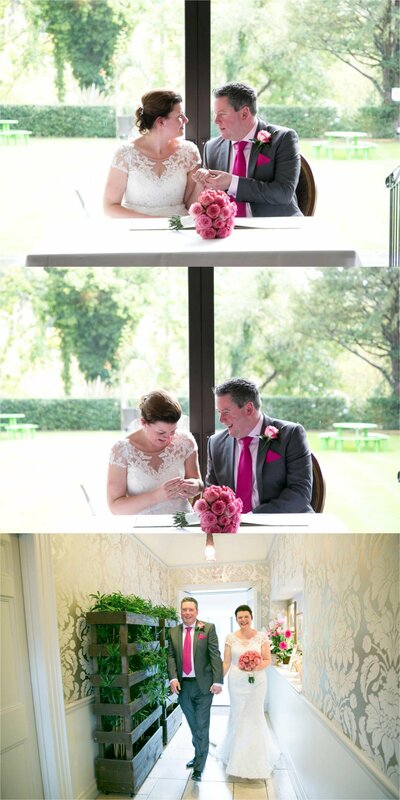 This relaxed, romantic wedding at the Riverside House Hotel in Mildenhall, Suffolk was a fun day to be part of. 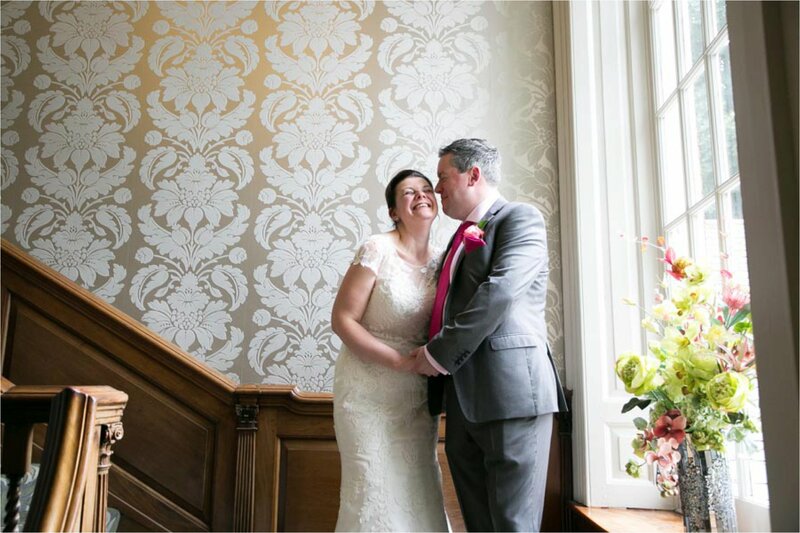 Nicola and James have such a great love for each other, it just shone through them during the whole day. We started with a bit of a hiccup to say the least. While parked outside Nicola’s sisters house, my car got crashed into! No injuries thankfully, but a spanner in the works so to speak! Luckily the timings worked out Ok so that I didn’t miss any photography time, all was sorted over the phone with my insurance company. And with thanks to Nicola’s family and neighbors I had transport to the wedding venue. To say it was a little stressful is an understatement, but as with any surprising unexpected event, things work out in the end. Being self employed, and shooting alone, I am the sole person responsible to get myself to a wedding (in one piece!) I make sure my car is reliable, I make sure I have enough time to get where I’m going. But I can’t predict what other people might do. And it’s a worry. To be fair, it’s a worry in everyday life. I have to try hard to not worry constantly about everything, especially the unknown and what “might” happen. But things do work out Ok. This wedding was my first experience of this kind of “disruption”. I’ve had a car tyre blow once on my way to an editorial shoot (not fun) and a few other glitches. But always these things sort themselves out. And always my faith in humanity is restored a little more, because people will help out. And this stands for you at your wedding. People will help you out, just ask. If something goes wrong, it really doesn’t matter, it will be Ok, and it truly will become a funny (honest!) story to tell in years to come. So back to the wedding. Luckily my drama didn’t affect the day, and things carried on as planned. 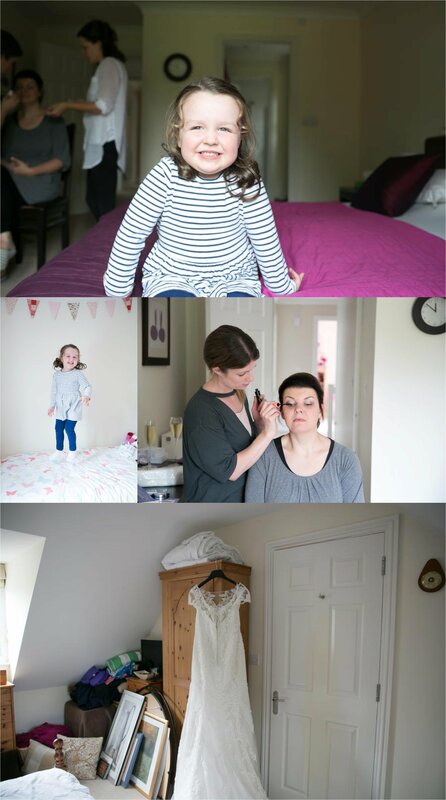 After getting the stunning dress on, we all headed over to the lovely Riverside House Hotel in Mildenhall, Suffolk. The rain didn’t dampen things, and the lovely emotional ceremony took place in the beautiful and bright garden room.The family and friends all had a wonderful time together, and enjoyed a wonderful wedding breakfast. As for me, I had waited for my taxi to arrive that the insurance company had arranged. It didn’t! But with everything at this lovely day and great venue, the helpful staff booked me a new cab, I had a glass of wine and said cheers to the bride and groom before heading off. An eventful day for sure, and a beautiful wedding.